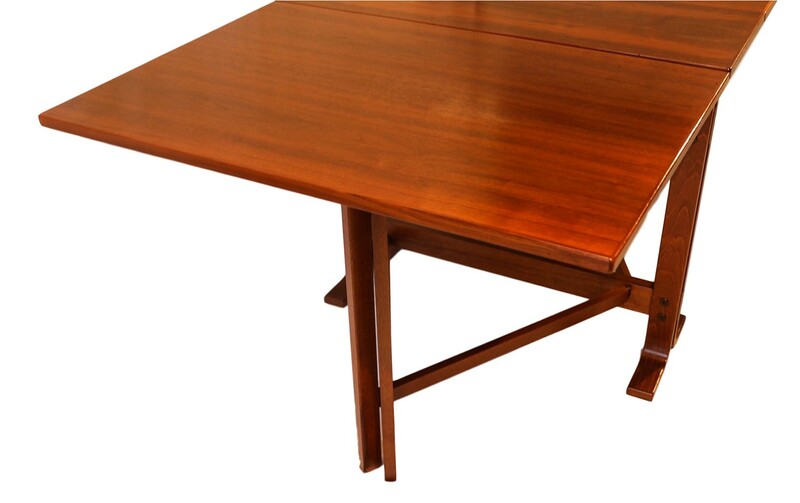 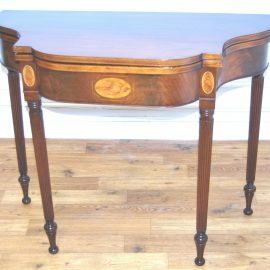 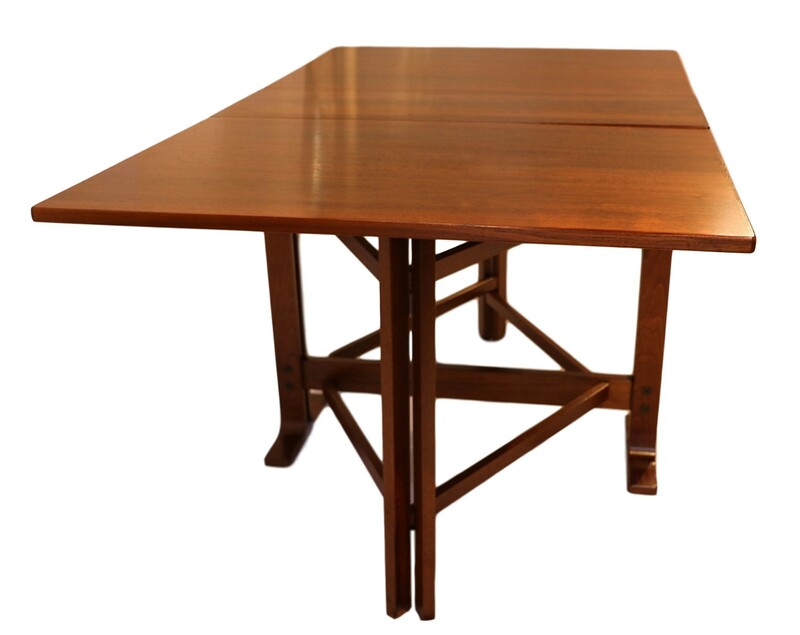 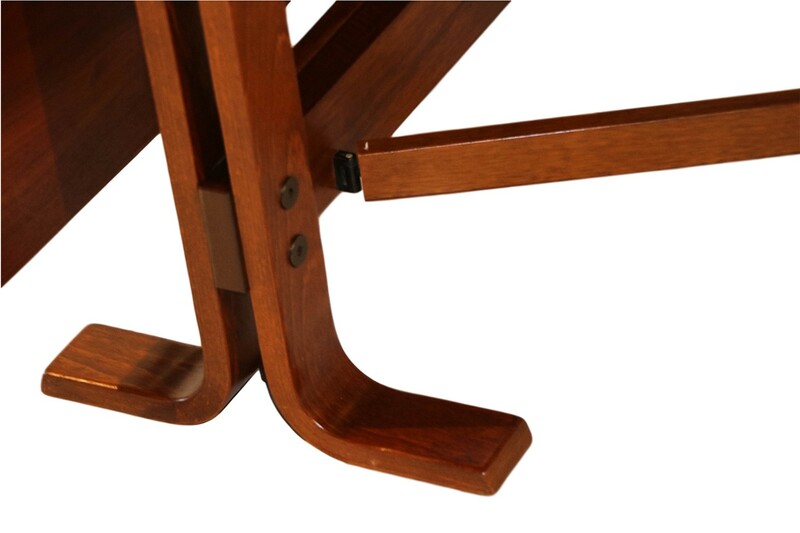 A teak drop leaf gate leg dining table in the manner of Bruno Mathsson. 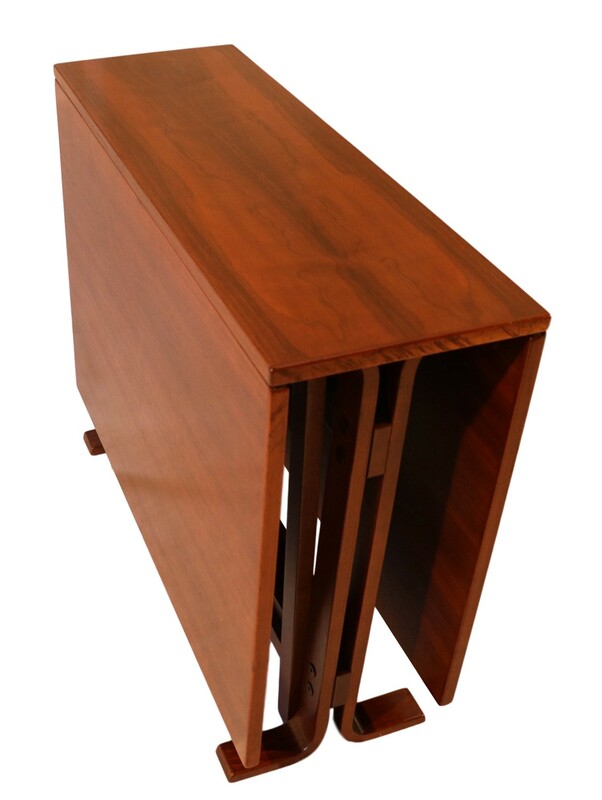 An exceptional work of Danish craftsmanship. 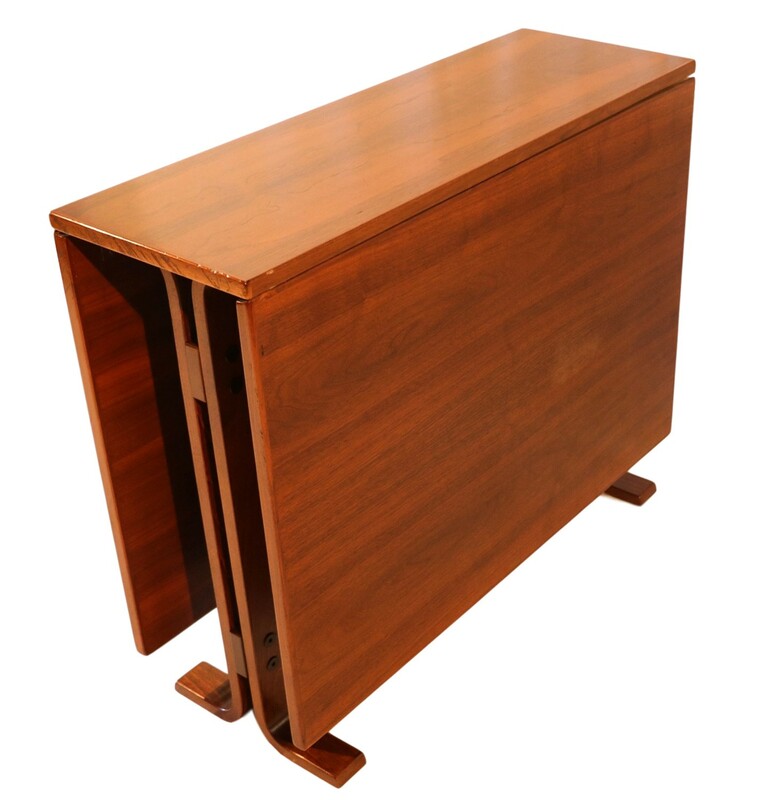 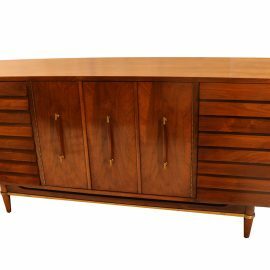 This is an outstanding selection for serious collectors of mid century modern Danish. 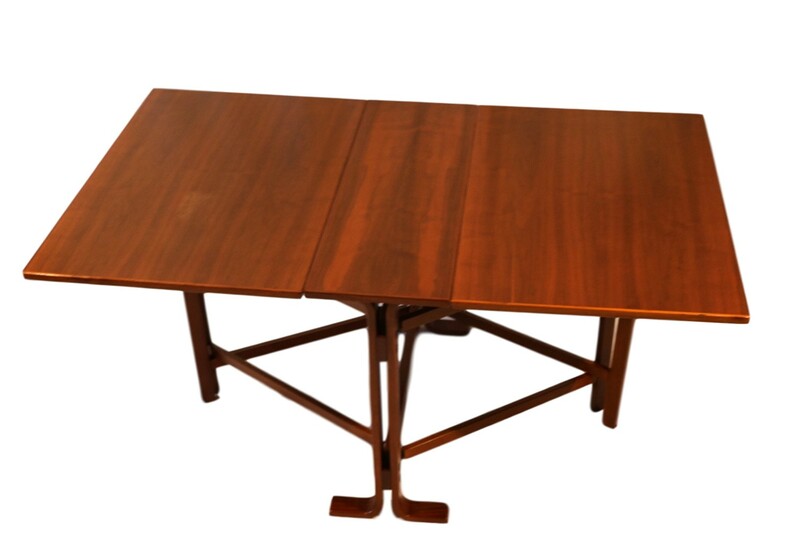 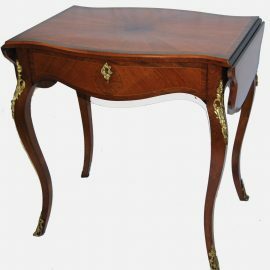 The leaves hang from the table, with original reinforced hinges, allowing functionality a statement to the craftsmanship and quality of the table, remains in exceptional condition throughout. 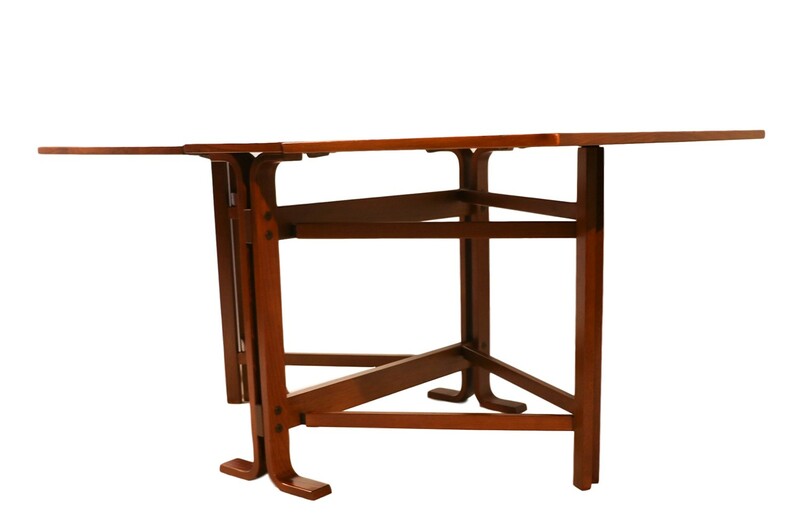 The original frame has a most sleek stunning form, supporting the attractive top with a beautiful free flowing teak veneer apron on front and back a unique bent wood apparatus as its center support, classic Norwegian craftsmanship. 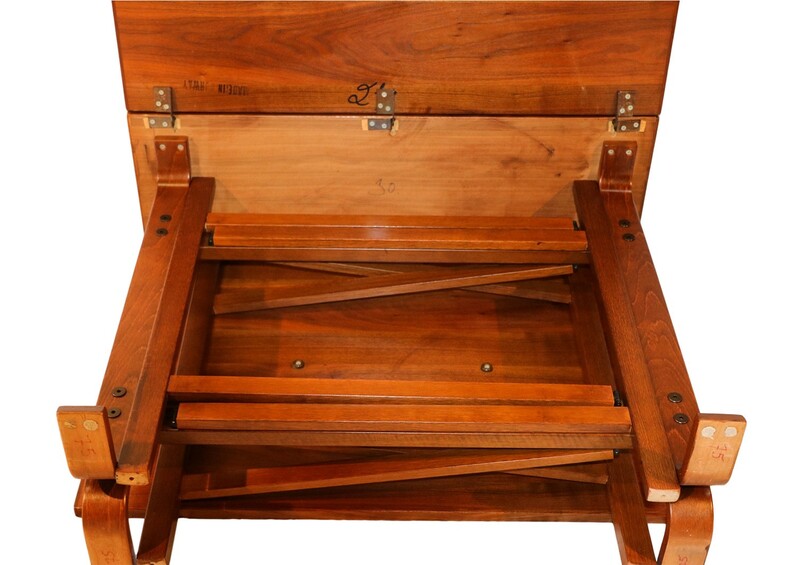 The underside is stamped (Made in Norway). 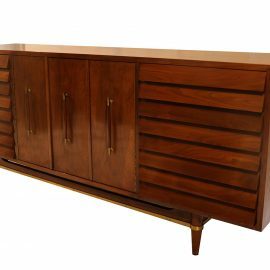 The piece boasts the most breathtaking graining in rich teak veneer with a deep glow and incredible oxidization throughout. 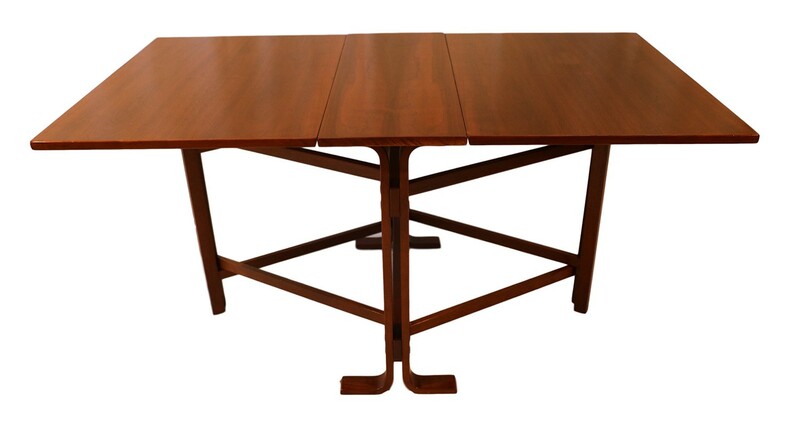 Keep the leaves down and conserve valuable space, or raise them to function as a dining table. Each wing of the table can be easily flipped up (either both or individually) to provide an extra 24″ on each side – up to 60″ long total. 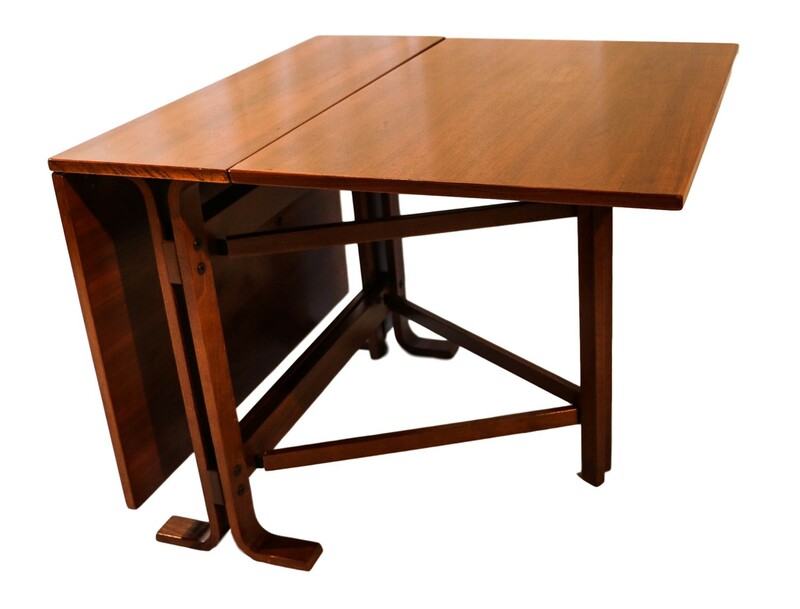 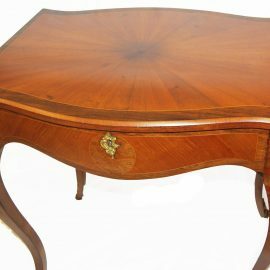 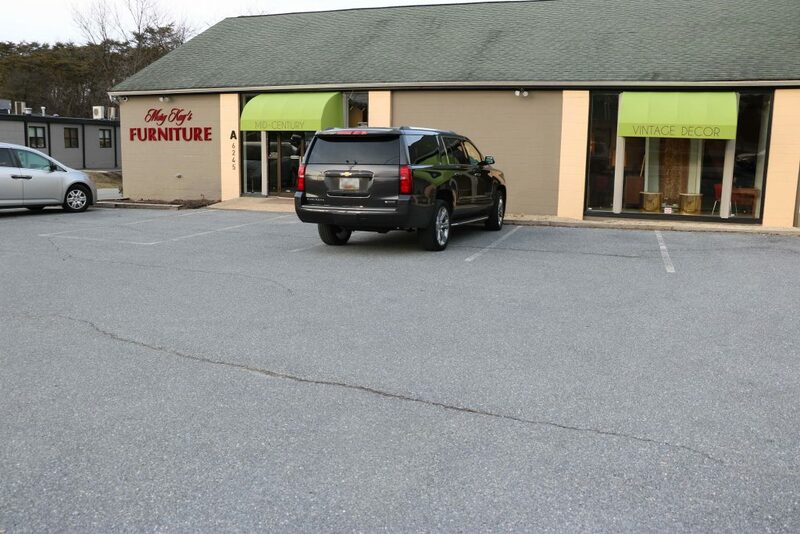 When closed completely, its reduced to a mere 12″ side table which allows for the table to be tucked away if needed. 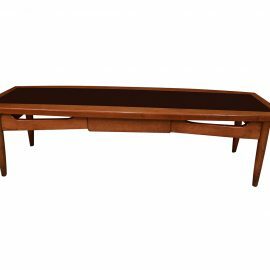 The flexibility of this piece is endless, use as sofa table, hall table, and console table.